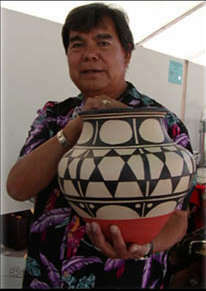 Robert Tenorio was born in 1950 on Santo Domingo Pueblo. Early in life he was working in clay with his grandmother, Andrea Ortiz, and his great-aunt, Lupe Tenorio. 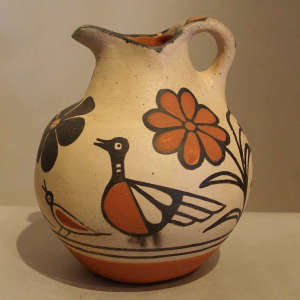 After high school. 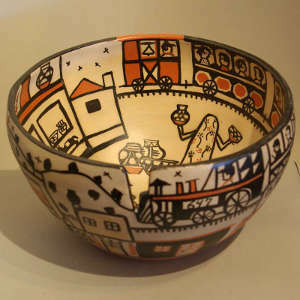 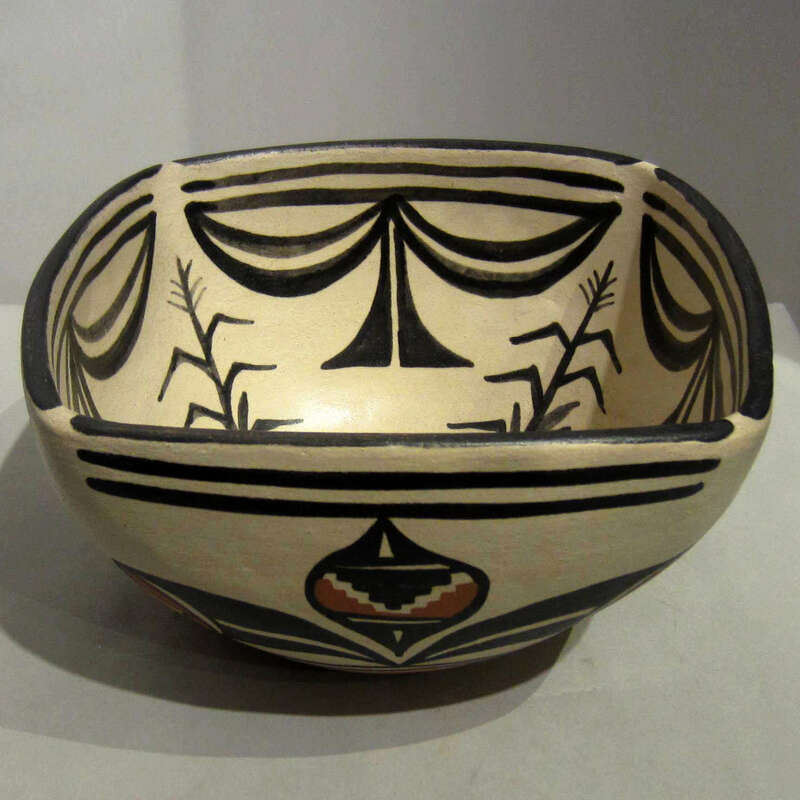 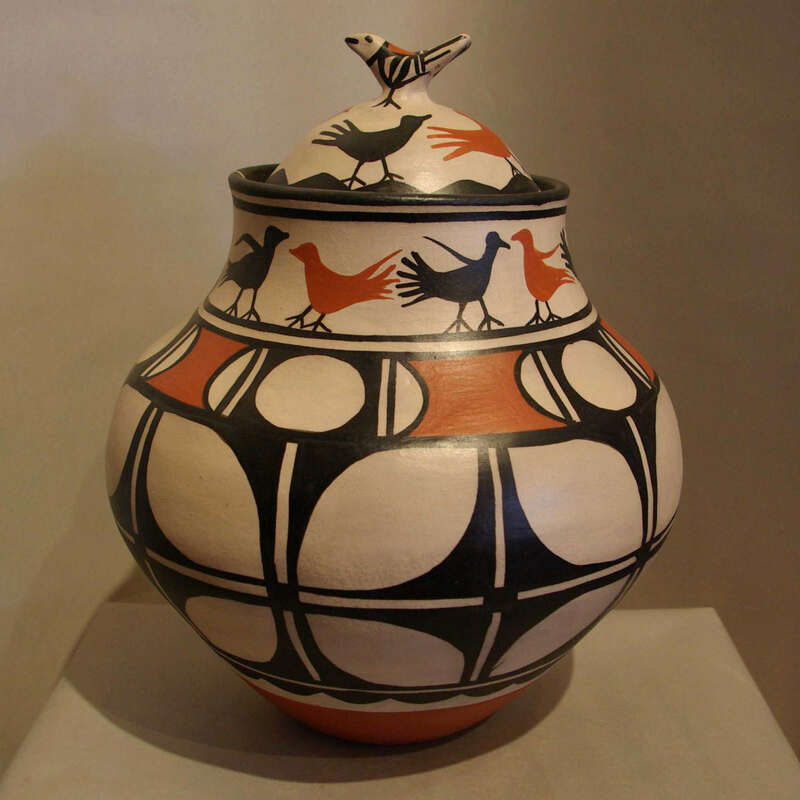 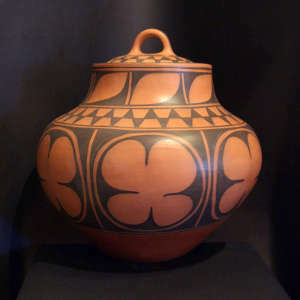 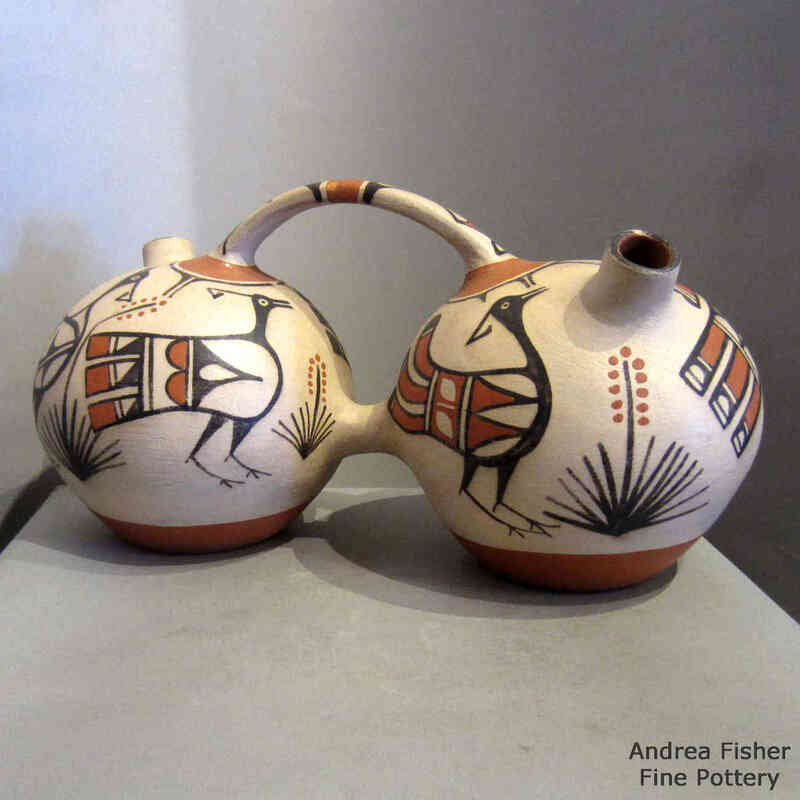 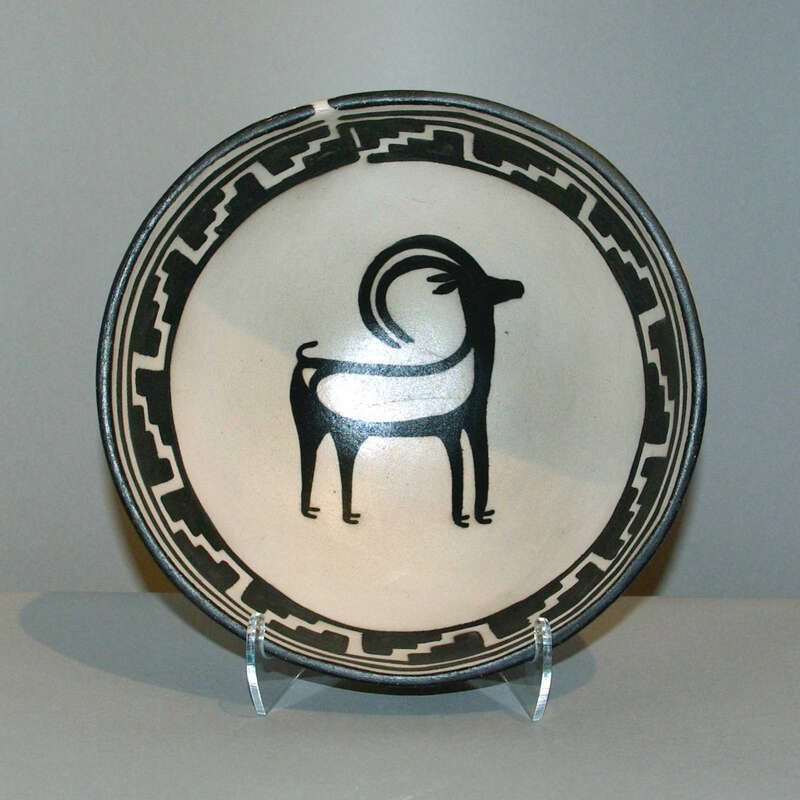 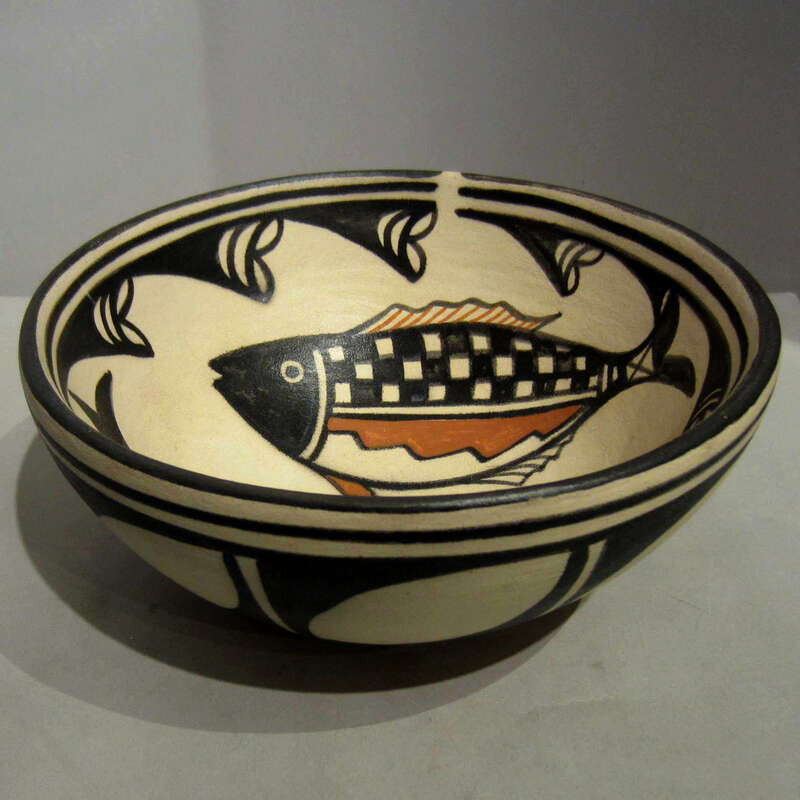 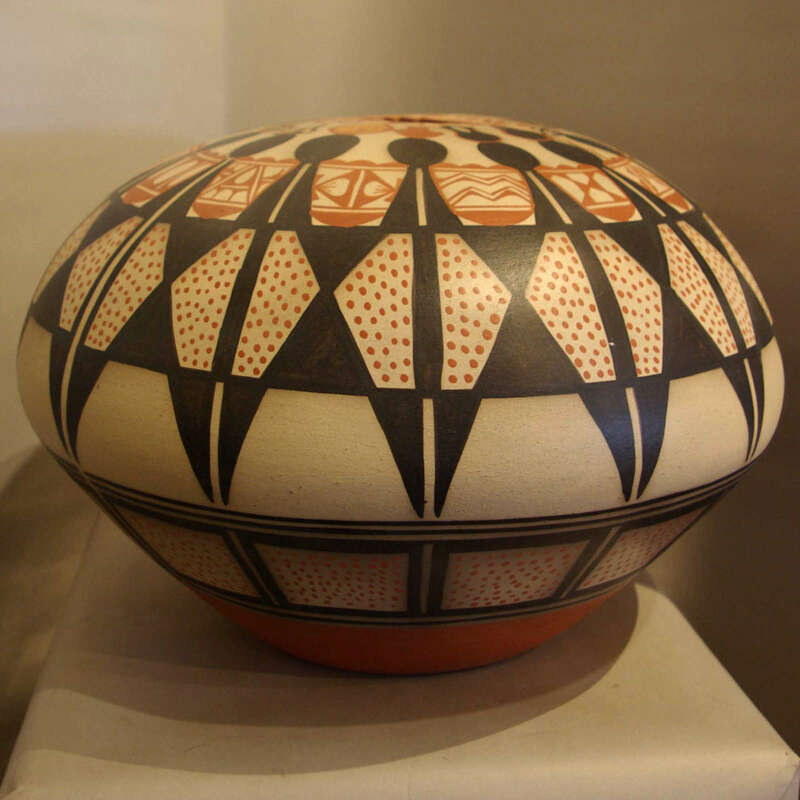 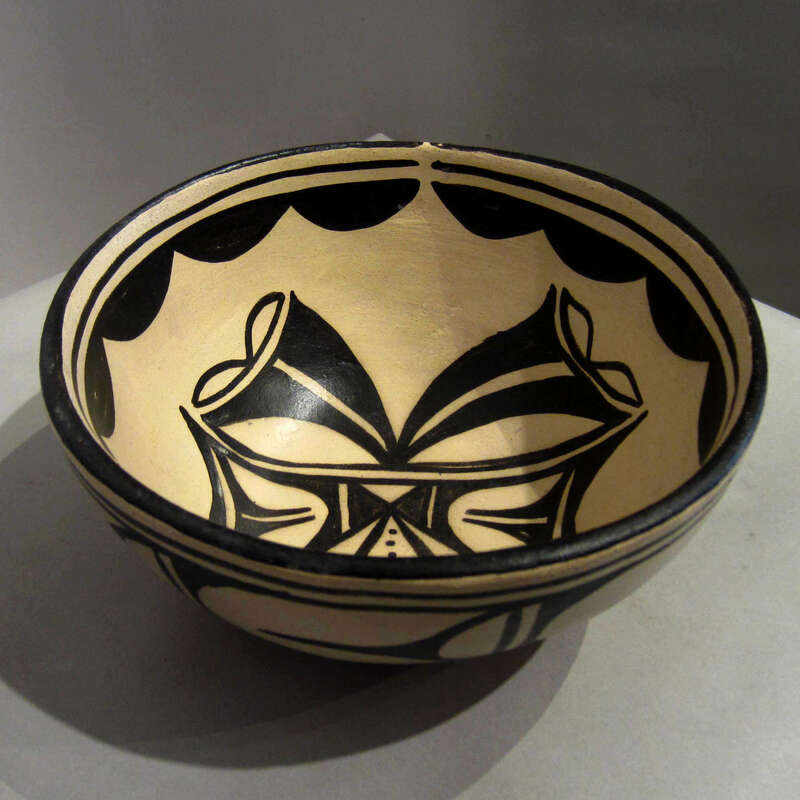 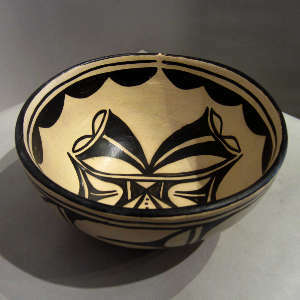 he began studying art and jewelry design at the Institute of American Indian Arts (IAIA) in Santa Fe, but he also continued formal training in clay under Otellie Loloma. 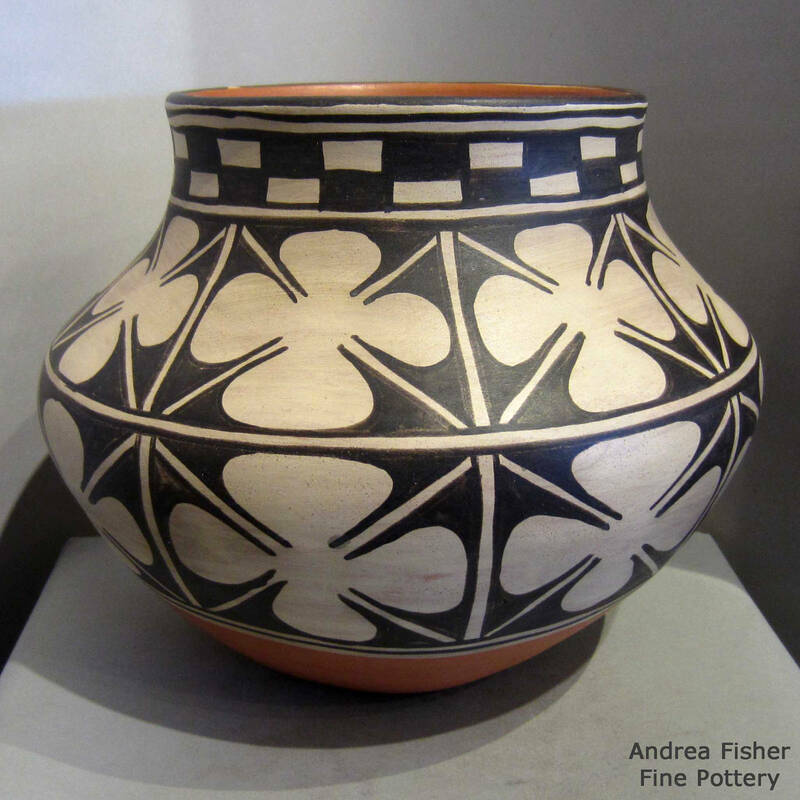 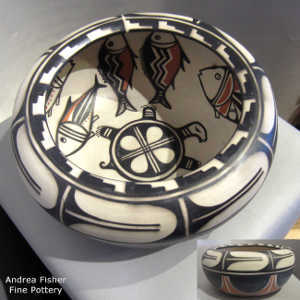 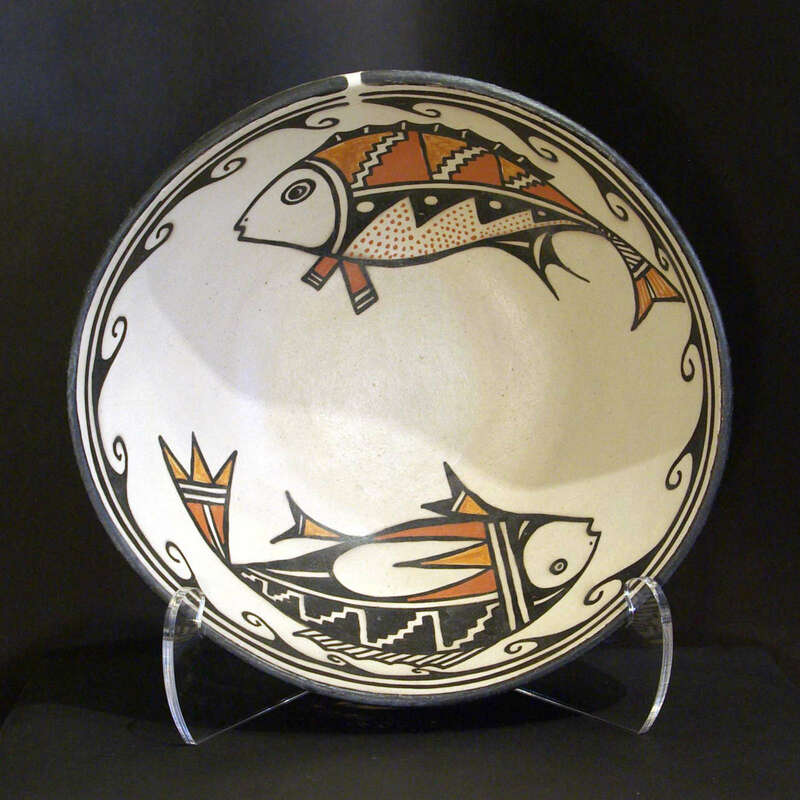 When he returned to the Pueblo he no longer had access to the clays and kiln available to him in school. He almost had to learn the traditional art of potting all over again. 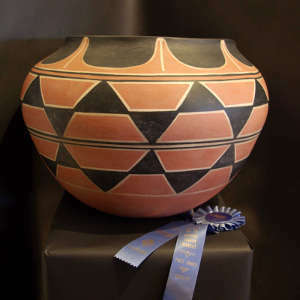 As he learned he began collecting native clays and experimenting with the traditional firing methods of his ancestors. 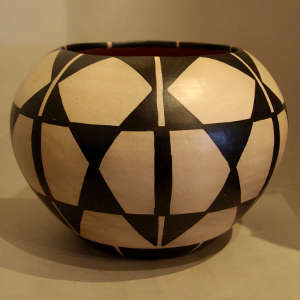 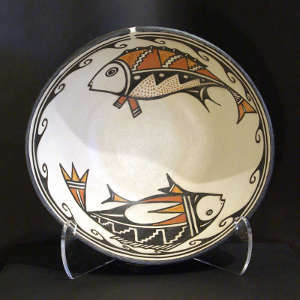 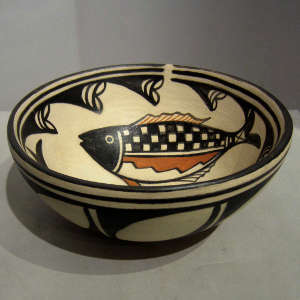 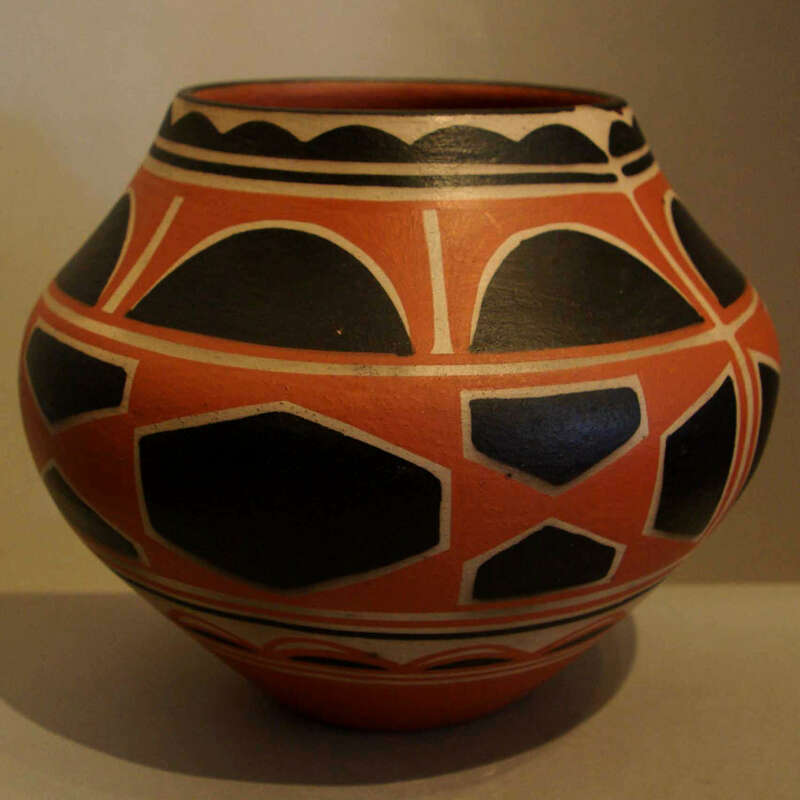 Robert has become known for creating pots, canteens and polychrome jars with the shape characteristics and geometric designs of the centuries old style of his Santo Domingo predecessors. 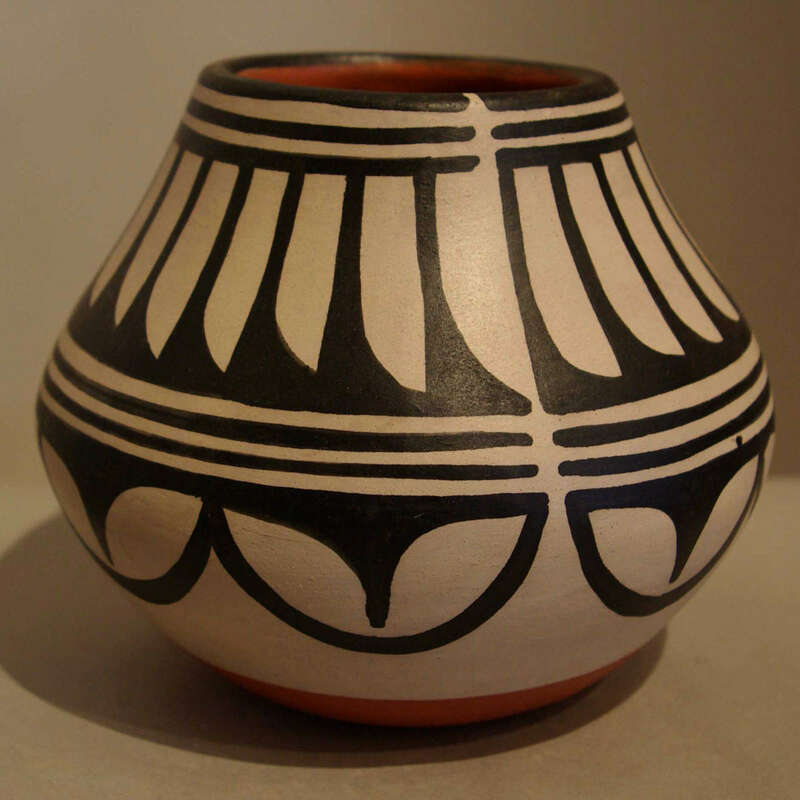 A full time potter since 1970, Robert's work reflects his reverence for his heritage. 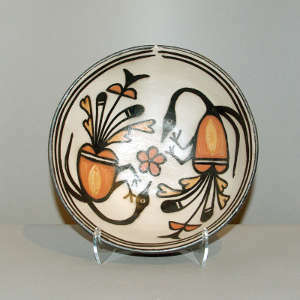 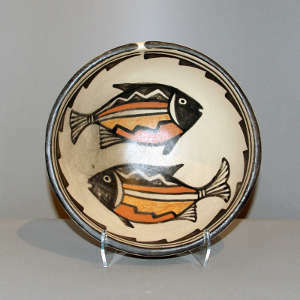 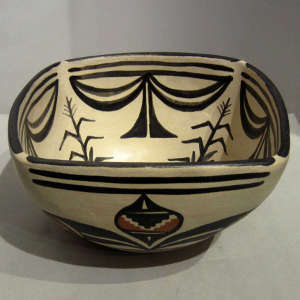 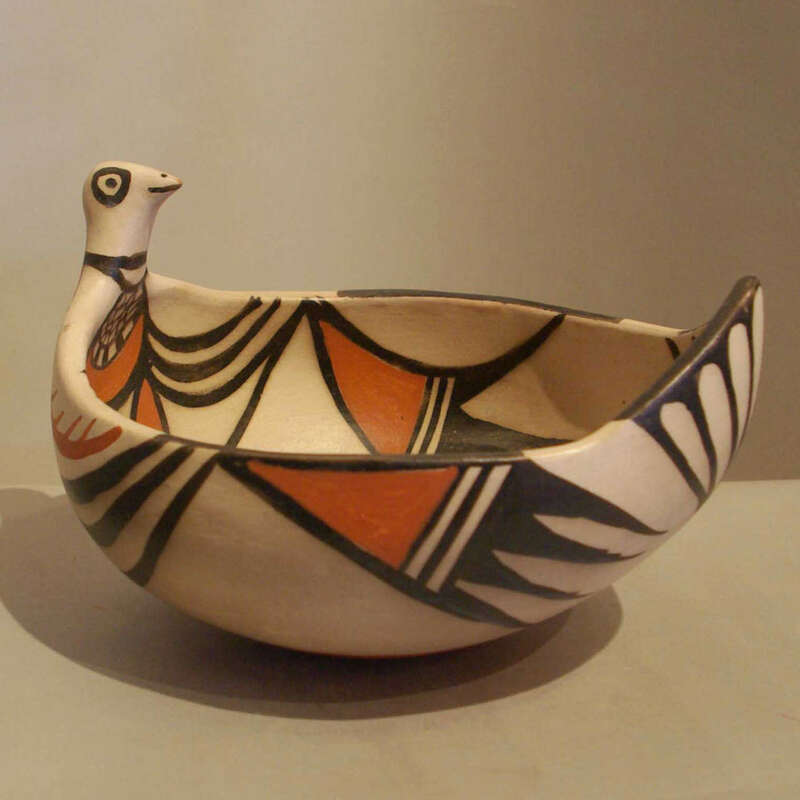 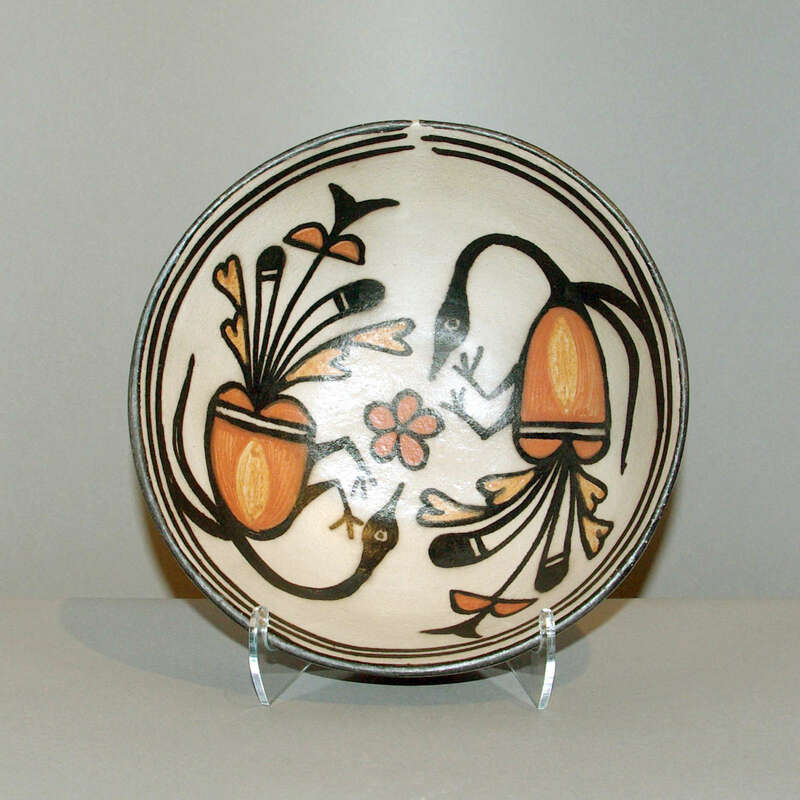 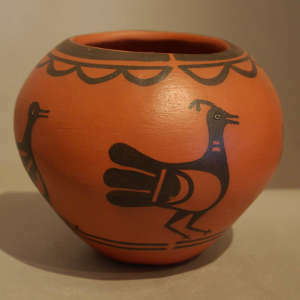 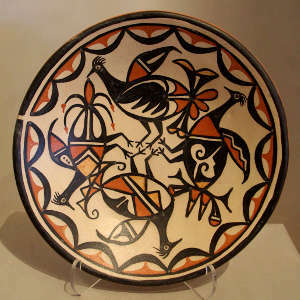 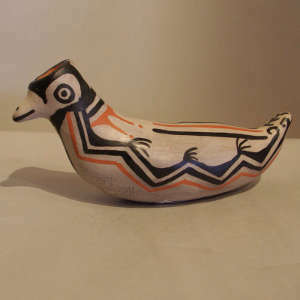 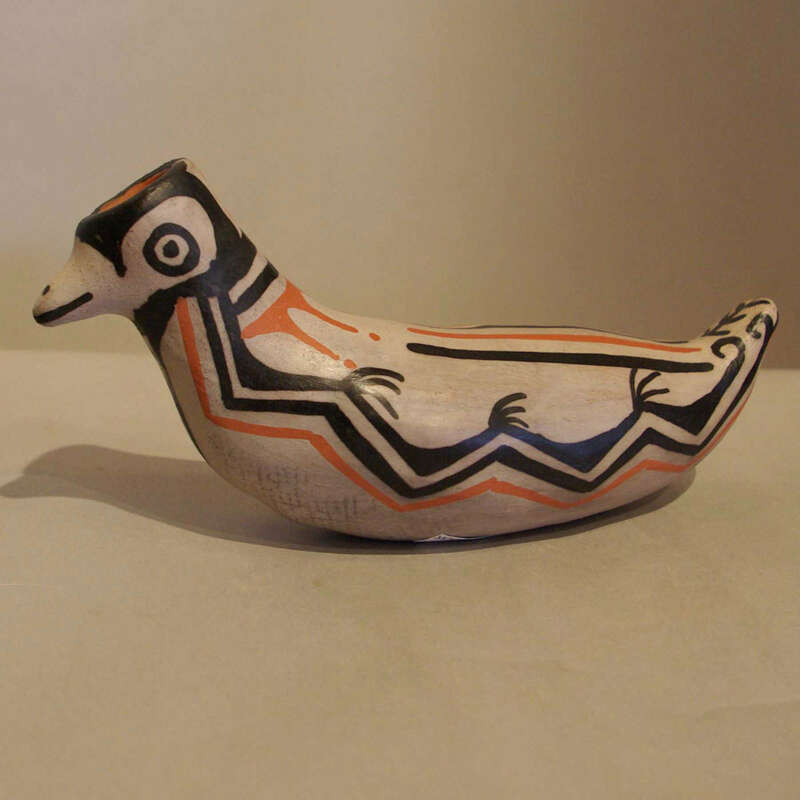 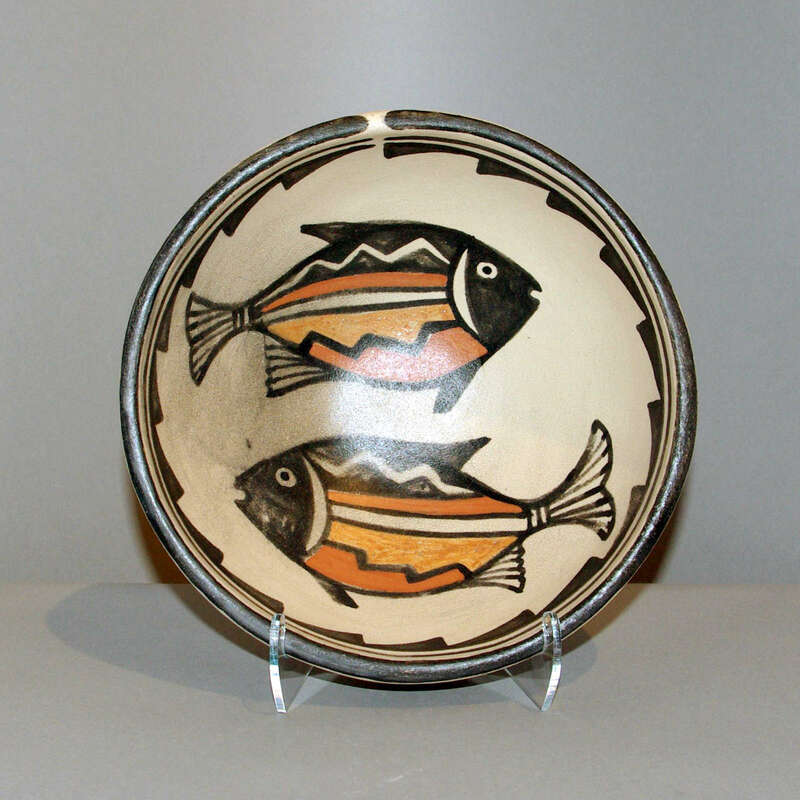 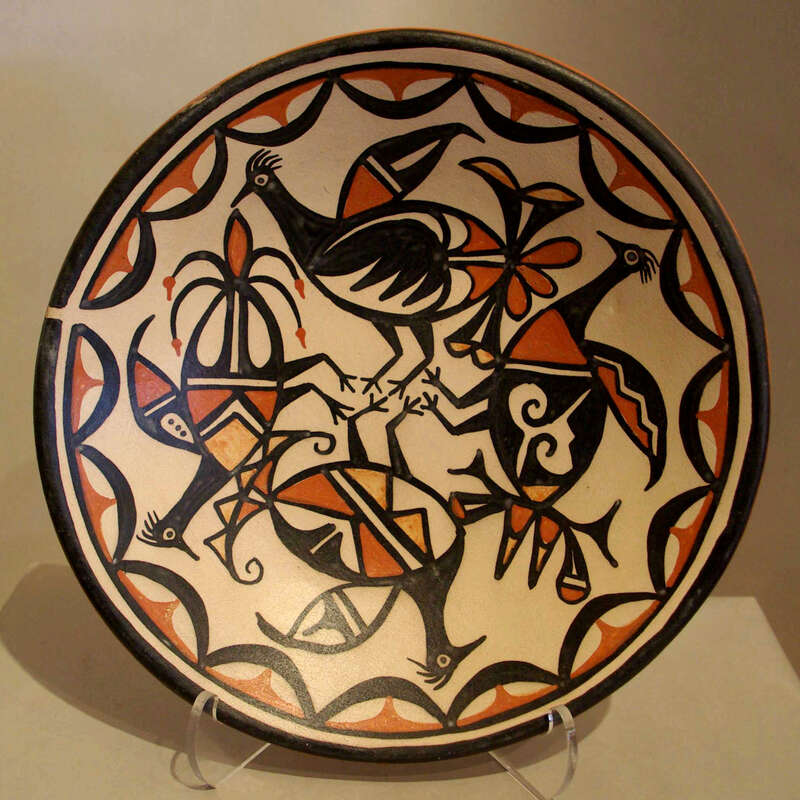 Santo Domingo has long been known for its utilitarian ware decorated with simple geometrics and birds, fish and floral patterns but never human figures as that is forbidden on pottery for sale by tribal religious leaders. 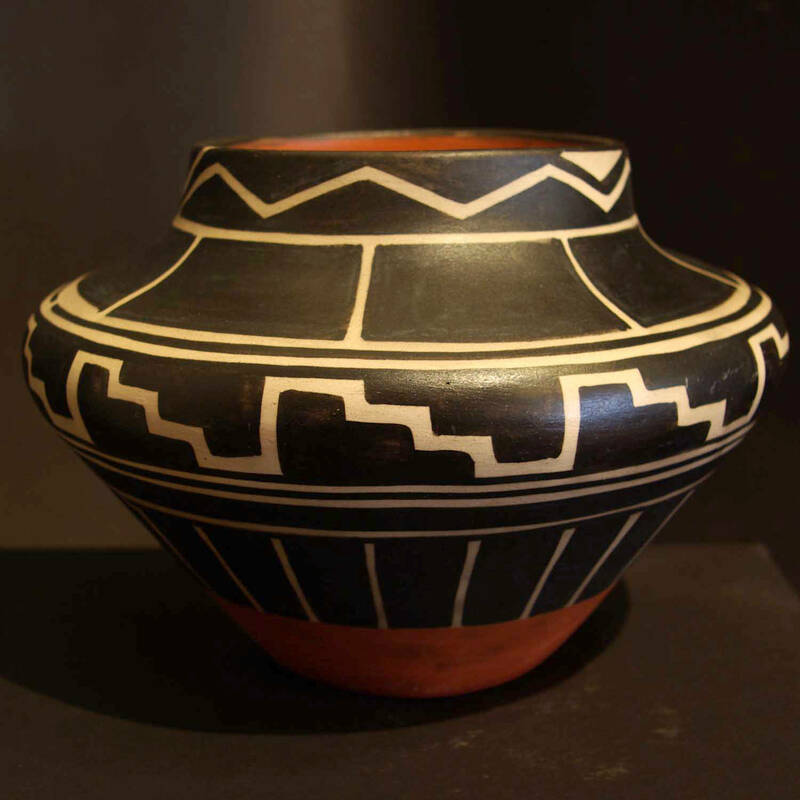 Robert signs his work: "Robert Tenorio, KEWA, N.M."